The Senate on Thursday backtracked on their earlier decision to have the embattled Minister of Aviation, Ms Stella Oduah, appear before the its plenary. She is now to appear before the Senate Committee on Aviation. Oduah had been summoned to appear before the Senate Plenary yesterday, but has been directed to brief the committee on the state of the aviation sector. Senate Leader, Senator Victor Ndoma-Egba, said on Thursday that decision to rescind the summons on the minister was arrived at during an executive session. Upon resumption of plenary, the Senate Leader, Senator Victor Ndoma-Egba (Cross River Central), had moved a motion that since they had agreed at an executive session that Oduah should appear before the Committee on Aviation, he is moving a motion that it should be so done. The Senate then, accordingly, resolved to rescind its earlier resolution that she should appear at the plenary. Consequently, there wasn’t any objection from any of the senators when the Senate President, David Mark, asked for comment from the legislators. 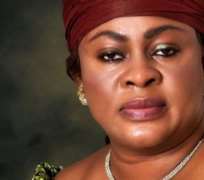 Although the reason given by the Senate leader for her referral to the aviation committee was that it was decided at last Thursday’s executive session, this contradicted the reason given by Deputy Senate President Ike Ekweremadu last Thursday for Oduah’s non-appearance last week as scheduled. He had said her appearance was deferred because of Mark’s request that she should hold on until his return from the United Arab Emirate (UAE) where he had gone to lead the federal government delegation to the final of the U-17 World Cup, won by Nigeria. Incidentally, it was the same Ndoma-Egba who had on October 8 moved the motion that led to the summoning of the minister. Rising under section 67 of the 1999 constitution, Ndoma-Egba noted that the sheer number of accidents in the country is deserving of declaring a state of emergency in the aviation sector and that the time has come for the senate to summon the minister and her chief executive officers to appear before the senate to give account of her ministry. Chairman of the Senate Aviation Committee, Hope Uzodinma, told journalists after the plenary that his committee would do justice to all the issues it is required to raise .